Platelet-Rich Plasma Protects Tenocytes from Adverse Side Effects of Dexamethasone and Ciprofloxacin. Platelet-Rich Plasma (PRP) has recently been a hot topic within sports medicine. Its use has skyrocketed after the 2009 Super Bowl when Hine Ward was reported to make a quick recovery after a hamstring strain because of PRP treatment. Since then several research studies examining the effects for the Achillies tendon, lateral epicondylitis, and rotator cuff have been conducted demonstrating mixed result. 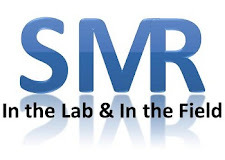 SMR has had several posts describing these studies (see links at bottom). PRP may not just influence healing but also reduce the side effects of commonly used medications; however, this has never been evaluated. Dexamethasone is an anti-inflammatory that is commonly used to treat acute and chronic conditions, including tendon injuries. Ciprofloxacin is a systemic antibiotic that is commonly used for musculoskeletal infections. However, both of these medications have been associated with tendon ruptures. Therefore, this study examined the effect of PRP on protecting tenocytes (tendon cells) against the adverse effects of dexamethasone and ciprofloxacin. Tendon cells were harvested from hamstring tendons and PRP was collected from whole blood. Tenocytes were placed in cell culture and either exposed to dexamethasone or a variety of doses of ciprofloxacin (10, 20, 30, 40, and 50 μg/mL) with and without PRP for 4 days. They examined the tenocytes for viability (whether they are metabolically active or not), senescence (cell aging or inactive), and apoptosis (cell death). They found a dose-dependent decrease in cell viability with ciprofloxacin. The larger doses (40 & 50 μg/mL) had 48% and 45% lower cell viability than controls. PRP was found to aid in improving cell viability, although it could not overcome the effect of the 50 μg/mL dose of ciprofloxacin. Cell viability also decreased with dexamethasone by 30% and was improved when treated with PRP. Senescence was higher in dexamethasone treated tenocytes and again this was improved with PRP treatment. Finally, cell death was increased with the highest dose (50 μg/mL) of ciprofloxacin. However, smaller doses of ciprofloxacin and dexamethasone were not affected. PRP was found to decrease the amount of cell death in the highest dose ciprofloxacin condition. Although this study may not seem clinically relevant on the surface, it does address very clinically relevant issues in sports medicine. Dexamethasone and ciprofloxacin are commonly used in physically active patients. In large and continued doses these drugs could lead to tendon degeneration and possibly a complete rupture. Even with the potentially dangerous side effects these medications are many times required to treat a variety of conditions. Although the effects of PRP are mixed for treating tendon injuries in both animal and human studies, this cell culture study found very beneficial effects for mediating side effects of medications. This is one of several studies that needed to be performed to determine if PRP is effective in diminishing the side effects of medications. Although there was great success in cell culture this is a very controlled situation. Moving into an in vivo animal model is challenging and potential problems may arise. In addition, human in vivo studies add further challenges and confounding variables. With that being said, this study offers a potentially new use for PRP. In this situation, it may be used to help prevent deleterious effect of dexamethasone or aid in healing a torn tendon when taking ciprofloxacin. What are you experiences with these drugs? Have you see any tendon injures with athletes taking any of these?